My name is Adam Olson and I co-manage another finance blog called Wallet Squirrel with one of my best friends Andrew Kraemer. We started managing niche websites three years ago where I became very interested in the SEO and web marketing world. I have studied different SEO and marketing strategies since but have never been able to apply them until I joined Wallet Squirrel at the beginning of March 2017 after finishing my master's degree in software development. In just under nine months, we've have been able to take our blog from an unknown little personal finance website to something that is actually found organically by new followers every day. When I joined Andrew we were only seeing 1,000 views a month. This number increased by 10 times to over 10,000 views a month within the first six months. Our Alexa ranking was at 4.5 million but climbed the rankings to 325,000! We are still small, but we have and continue to see amazing and consistent growth, 30% a month, for our new blog because of these SEO and web marketing strategies. And, that is why I am going to teach you how to get traffic to a new blog. 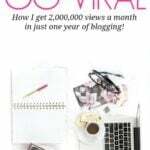 2018 Blogging Trends eBook – Overwhelmed with all the blogging advice out there? Here are the latest blogging trends you need to know about in order to grow your blog and start making money. Okay, let's start off with our SEO strategy! We will talk through six killer SEO techniques that range from simple to complex. Of course, there are other items that are not on this list. This list consists of the six items that we personally found the most influential for Wallet Squirrel or are so easy to check off, you would be crazy not to try them. Performance might seem like common sense but a lot of people forget about it. We did in the beginning. Wallet Squirrel took so LONG to load that even I did not want to visit the site. Google frowns upon really slow websites and will penalize them. Your website's performance also crosses into web marketing. People do not want to wait for slow sites. If your load time is too long, they will go somewhere else. What to do: To start, check out if your site is slow or not using these websites. Google’s PageSpeed Insights. These sites will help you determine what is slowing down your site. We also worked hard at optimizing our site with a series of plugins for WordPress. We only have 10 plugins on our entire site. Some of the ones we use to optimize our speed are WP Fastest Cache and TinyPNG. They're free and work great. For more details, our website performance article goes into depth what each does. The SSL certificate is one of the easiest items to check off between the two strategies. With all of the web security hacks that are making headlines people are keeping a closer eye on what websites they hand their personal information to. This is why Google has propped up the SSL certificate within their algorithm, ranking websites with it higher in their search results. What to do: Most website hosts allow you to add on the SSL certificate to your yearly plan. These plans are not horribly expensive. Even some hosting plans will include an SSL certificate, which is a reason we moved over to Bluehost. There are ways to get free SSL certificates from reputable organizations such as Let's Encrypt. I only recommend this for the highly tech savvy people though. Most people have heard of keyword research and how important it is. Well, you should be listening to those people because keywords are absolutely crucial for your blog being found organically. Andrew and I slacked on this for a couple months with little to no organic traffic flowing to Wallet Squirrel. Most newer blogs will rely on organic traffic for people finding their website. As you'll likely have a small email list and social media traffic starting off (A great email marketing company to check out is Constant Contact. They have great customer service and a free 60 day trial​).
. So keywords are important! We decided to stop being lazy and start doing our research before writing each and every post. Once we did, our organic traffic started to boom! Now 45% of the traffic we receive is organically found on search engines. What to do: I like to use Google's Keyword Planner to help me research keyword ideas. Using the ‘Search for new keywords using a phrase, website, or category' tool you will get a good sense on how many searches per month a keyword will get. Keyword Planner will also show you other similar search phrases along with their monthly search counts. This allows you to determine what the best keyword really is. Maybe your original idea gets 1,000 searches per month when another similar phrase gets 10,000 a month! After selecting the keyword, I will use SEMRush to help me determine the keyword's difficulty rating. The higher the number, the harder it will be to rank. Personally, I would rather rank higher on a keyword that only gets 1,000 search results a month compared to the 10,000 searches keyword when the keywords difficulty is so much lower. For example: If you're writing about Yoga, the phrase “Yoga Mat” has on average 10k-100k monthly searches. That's a lot. However a more niche phrase like “Travel Yoga Mat ” has 1k-10k monthly searches but the competition is a lot less. It is good to know how often people are searching for a topic you are thinking about writing about. But it is also good to know if you will be able to rank high enough to gain that traffic. Strong content is king in the SEO world. Every blogger that wants to succeed must create consistent and strong content. The more that can be written, the better the blog will perform. Google loves lots of content on a website, and will rank it higher if there is more content. We have increased the size of each article we write to at least 1,000 words (1,500 – 2,000 words is ideal) and we're consistently posting every Monday and Thursday. What to do: I recommend having your keywords and article ideas mapped out for at least a month. I believe Michelle plans her articles three months out! Once you have a roadmap about what you plan on writing for the next month, pick a weekend and go on a writing spree. Having the body of your content written for the month will allow you to fine tune it throughout the weeks. This will also allow you to focus on the marketing strategy which we will talk about soon. I used to think that backlinks were silly. I could not have been more wrong. For every article, you need work on organically building backlinks for it. This means, you should NOT go out and buy a bunch of non-relevant links on Fiverr (they are not that great). Google's algorithms have become a lot smarter so they can tell if you purchased links or not. What to do: Head over to Google and type in your article’s keyword. Then select one of the top URLs (your competitors) that show up in the search’s results. Copy and paste this URL into Backlink Watch and click on the Check Backlinks button. Backlink Watch will then start spitting out other websites that provide links to your competitor. You can head over to those websites to see if you can contact their administrator letting them know about your article and they can link to it. Do note, leaving spammy comments on other people's blog with a back link to your website doesn't really work. I recently heard that Google can now tell if the link is from spammy comments left on other blogs. They will penalize a website that leaves these spammy comments. Now, I have not confirmed this but it is something to keep in mind. Tip: When contacting other sites, let the administrator know that you can do something for them. That way they will be more likely to link to your content. This is an area that we are really bad at. We are constantly forgetting to index new blog posts with Google and Bing the right way. Otherwise it may take weeks for Google to find your new blog post. When you complete a new blog post, you need to notify Google or Bing that the page exists. Enter indexing. When you tell the search engines that the page exists their bots will crawl the page. Once complete, the page will be placed within the search results of the engine, or indexed. While writing your new article, it is best to insert in as many relevant internal links to other pages on your website. The bots will crawl to those other pages as well resulting in their index being updated. What to do: Head over to Google's or Bing's Webmaster tools. If you have not set up your website there yet, follow their instructions on how to. Next, in the dashboard, click on Crawl (Configure My Site on Bing). Then you will want to hit Fetch as Google (Submit URLs on Bing) to submit your articles new URL. 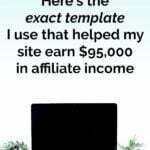 From here the search engines will work on crawling your new page. On Google's Webmaster Tools, I do perform one more step. After you click the Fetch button, it will add the page to the list below the submission form. Next to the Status column an Request Index button will appear. Click this, then click ‘I'm not a robot' and ‘Crawl this URL and its direct links' in the pop up that appears. This will ensure the bots crawl all of those internal links you put into the article. Phew, we made it through the SEO Strategy. Now it is time to take all of the content you created for your website and let people know that it exists! As a bonus! We are going talk about the marketing strategy that we use at Wallet Squirrel. Recently we really picked up our social media campaign with a lot of success. It now provides us with the second most incoming traffic behind organically from search results. Using social media to gain more traffic is probably the easiest method to get the word out about your new article. What to do: Recently we moved over to using a social media calendar. There are bunch of them out there such as Buffer or MeetEdgar. Andrew experimented with both of those but decided to go with CoSchedule instead. CoSchedule checked off all the boxes with the features we were looking for. I would look into them for yourself to see what one fits best for you then get scheduling! Social platform sites include websites that have a community, forum, bookmarking, networking, or have any other social base behind them. Some of the more popular social platform sites (outside of social media) out there include Quora, Reddit, Slideshare, StumbleUpon, and Blogger. What to do: We use Quora a lot to gain more traffic! This is because it is so easy to hop on the site and answer a couple questions. In most cases, your blog posts can answer questions people already have on Quora. Reddit and StumbleUpon are other platforms that are easy to use as well. Do be careful to follow the rules on Reddit so you do not get blocked. They do not like spamming. Slideshare is another social platform that we try off and on. Here you can turn a popular post into a slide show (basically a Power Point presentation). Have you tried Slideshare before? What has been your experience? Andrew has had a lot of success with getting our articles syndicated on some major publications such as the Medium and Seeking Alpha. We are always looking for new places to get articles published. Using syndication for web marketing increases the footprint of every article written which in turn increases website traffic. It is like we are borrowing their audience. As long where you syndicate your articles provides a link back to the original article, Google is smart enough to know that it's syndicated and not duplicate content. Google does penalize duplicate content, so always link back to your original article. What to do: Do some research to find publications that relate to the content you write. Look into how you can become a contributor and that they accept syndication. 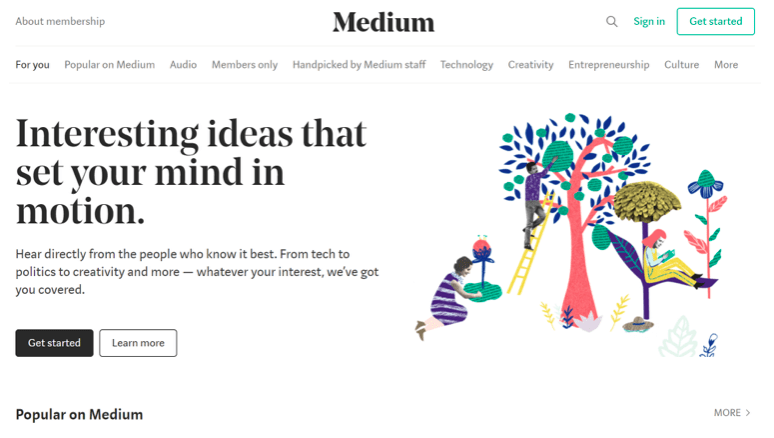 Medium has a whole tool for syndicating content from your blog that's really useful. The trick with syndication is that every article must be written with extra care. Really you should do this for every article if you want to be taken as a professional (no one is perfect though). But since you are sharing this article on a high-end professional publication it needs to be your best work. Take some extra time to review the content. Maybe even download the Grammarly application to help you find hidden mistakes in your writing. I know this application has really helped me find some boneheaded mistakes! Guest posting is a very similar technique to syndication. Except you're often writing a unique post for a fellow blogger, sharing your expertise to their audience. You gain viewership from guest posting because you are letting that blog’s visitors know you exist. What to do: Find a blogger who blogs about similar topics as you do. Shoot them an email letting them know about yourself and asking them to guest post. Keep the email short and include links to other Guest Posts you've written to help your credibility. I would recommend coming up with a unique post idea as well. I can't tell you how many times Andrew and I get requests for guest posts that are about subjects we just wrote about last week. Do your research about that blogger and what they have written about. Be persistent, but not pesky. 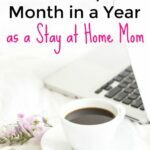 If the blogger says we are full right now but check back in three months, then do it! Sometimes bloggers find gaps in their content schedule and your email will be a welcome gift. Make a (good) impression on other well-known bloggers within your field. If you make an impression, they are more likely to share your content. Sharing other people's content certainly goes a long way to making a good impression. What to do: Start by looking into what they are currently talking about on social media or on their blog. I know, that sounds a little stalkerish. Please don't be creepy. Bloggers LOVE it when you comment and share their stuff, they'll notice you. Once you figure out a trend of what might be on their mind, try to relate. Maybe you have an infographic that might answer their question. Or maybe you have a story that they will want you to share. Always keep an eye out to start a conversation. You never know what conversation will make an impression on someone. Infographics keep growing in popularity as a form of web marketing. They are easy for others to share while telling a story within a simple image. Every time that image is shared so is your brand. As you can see in the example below I made for this article, the Wallet Squirrel brand is clearly displayed. What to do: Personally, I like to use Pinterest for inspiration for the most up-to-date styles. Then hop into Adobe Illustrator to start designing. Don't have design software or the skills to make your own infographic? That is perfectly fine. Head over to Fiverr and hire a freelancer for around $20 to help you out! What is next to learn how to get traffic to a new blog? 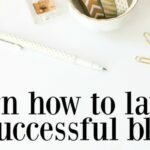 Of course, I did not capture ALL of the SEO and marketing techniques out there for people to learn how to get traffic to a new blog. The techniques we talked about today are good places to start for any beginner. Are you using any of these strategies currently? Anything to add? Thank you so much! I glad you enjoyed it. Do not hesitate to ask if you have any questions. I’ve been blogging for a while with limited success. You made these steps so much clearer and the reason they shouldn’t be ignored. Infographic is helpful to bring it all home. Thanks Michelle and Adam. Your welcome Linda! Hope it helps out! Thank you! Hope they help out! Nice post, thanks for the tips. Will look into syndication. How do you go about contacting those bigger publications? Thank you! Most sites will have instructions to contact them. Each one has their own policies to follow. That’s a great addition Melissa! Thank you! I had no idea about blog syndication. Great idea…looking into that now. I do use and LOVE Semrush, despite the cost. Yeah, SEMrush is so expensive but so worth it! Thanks so much for all of this info. I had no idea that I’m supposed to index my new blog posts on google and bing but it totally makes sense! Glad the article could help Nicole! Let us know if you have any questions. SEO has been my daunting task for awhile now. I know that in order to take my blog to the next level, I need to step my SEO game up. I will definitely be giving your tips a try this weekend! Also like the previous comments, I HAD NO IDEA about indexing my posts with search engines…Your insights are definitely opening my eyes even wider! Great to hear Sean! SEO really does make a massive difference! Wow, I love this post! The information was very helpful. Even though I’ve been re-sizing images on my blog to improve loading speed, now I’ll actually be able to check load times thanks to your tips. The info on indexing and keyword tools was also great. Thank you so much for sharing these techniques, Adam! Would you be able to comment on why you and Andrew went with CoSchedule instead of some of the other social media calendars? What made CoSchedule more useful for you? No problem! Hopefully, it will help! Andrew actually wrote a whole article as to why we chose CoSchedule. You can read about that here. Great info. Can you make a infograph using PicMonkey? Hey CJ. I do not have any experience with PicMonkey so I cannot give a thorough answer. I just looked at their website and it does look like you might be able to make it work. To be sure, I would contact them to talk it over. I’m not sure what PicMonkey is but I make infographs in Canva. They make it really easy and fast. Thanks so much for this timely post and golden tips! Helpful to know about indexing and backlink. Where on our website do we upload Google’s verification file in order to verify our website with them? Glad the tips could help out some. I usually upload it via FTP to the index folder for your website. Within this folder, you should see the wp-content, wp-admin, wp-includes folders. Usually, you can just upload it alongside these files. Each web host is a little different with how to organize your website’s data though. They should have instructions on their site since this is a big deal. Hopefully, that helps a little bit. This was so helpful! Thank you Adam! I knew my site was slow, but I wasn’t really sure how to fix it. But I installed WP Fastest Cache and TinyPNG based on your recommendations and I’m already seeing a difference! Great to hear Jules! Glad to hear that those plugins are helping already! Excellent post. I did not know that I’m supposed to index my blog posts on google and bing. Thanks Michelle and Adam lots of helpful information. .
You’re welcome Steve. Hope it all helps out! Great tips – thanks a lot! I definitely need to work on page speed and indexing. I was not familiar with indexing and thought one of my plug-ins was permitting Google to crawl automatically. Yikes. I should also look into optimizing my images, as some of the professional photos I use take up tons of space. Thanks for all the great suggestions. Looking forward to some 2018 growth. Hopefully, these tips help you get that growth Deanna! Let us know if you have any questions. I had no idea about indexing my posts with search engines or syndication. Definitely something I’ll have to look into. Congratulations on your impressive growth, and thanks for all the tips! Thanks J and you are welcome! Hope they help you out! That is some impressive growth! Thanks for all these tips and techniques. I definately will be implementing them. Thanks Rob! Hope the tips help you out! Let us know if you have any questions. A most helpful article. It’s inspiring to know about your success in such a short space of time 🙂 Indexing new blog posts is new to me, and I’ve taken steps to do so. Thanks Adam! Great to hear Jo! Hope it helps! That’s really informative.Thanks for sharing.I am a new blogger & I have my blog in eblogger..will that affect me in my long run??? Hey Banriland! I am not familiar with eblogger so I cannot tell you for sure. My guess is yes though. WordPress or Squarespace are probably your two best platforms to use for your blog. This is because they have so many resources to help you. Hope that helps! Great article! I admit I was a bit skeptical because the title seemed a bit click-baity but I really enjoyed it and found you provided a lot of information in a quick and easy to digest format. Congratulations are your success at Wallet Squirrel! Glad you enjoyed it Jenny! Nice! Good job getting that done so quickly! Adam, great article! The strategy you described around backlinking using backlinkwatch.com was especially helpful! Great to hear Jeff! We love that strategy even though it takes a lot of time. I am about to become a new blogger. Once I implement your ideas and strategies to grow my blog, how much do you think it will cost me initially to set it up? And, how much monthly to maintain it? i do not have a website or anything yet. I will be a baby as far as getting into blogging. Hi Greg. It really depends on who you use for your web hosting and what WordPress theme you choose. Andrew and I spend about $50 a month right between web hosting and social media schedulers. Our WordPress theme is about $100. Hopefully, that gives you an idea. Adam, I wish you and Nick all the best. Thanks for taking time to answer questions for beginners like me. Great to hear Paul! Let us know if you have any questions. These are excellent tips Adam. Congratulations on your amazing growth! Indexing new blog posts and syndication, are new to me. Hope they help out Joanne! Wow! Awesome tips! This post is gold. I implemented some of these (the plugins for speed) in 10 minutes and noticed some improvements in my pages load speed. Thanks Jorge! Glad you are seeing improvement already! Keep up the good work! I love these tips and will definitely use them! Getting traffic has been a challenge but at least now I know how to do it better. Thanks for the great article, Adam and Michelle! Glad you enjoyed them Debbie! Let us know if you have any questions! Thank you for sharing your success story and how you achieved it. It looks like most of us know what it takes to be successful and what needs to be done but still very few get there. Congrats on your success. I know about performance and I myself won’t wait too long for the website to load yet when I checked my site on google, it came back as medium speed. Have to work on it now. I read about Quora in few blogs so I’m going to try that. Thanks for mentioning the free ebooks. First off, thanks Michelle for having Adam write is incredible guest post! Congratulations Adam (and Andrew) for this phenomenal growth — this is very inspiring! But, more importantly — your practical and straight forward tips and advice is very useful! We just spent the last 3 hours going through step by step. 3. Most of our time was spent on verifying our site (weird, because we get real-time GA stats) and then indexing . We’re a new blog with only 8 posts. We were able to index (taking the extra steps) 3 of them, but the other 5 are showing “errors and try again” with extra “verification that we’re not a robot…it must be because we were trying to do so many in a row, huh? 4. It’s on our schedule to start using a social media scheduler, so thanks for the boost — we’ve been lacking in consistency in this area, even though we know most of our traffic comes from Pinterest. We got our longest (7930 words) and most popular post published. It only took a few minutes to fix some spacing issues, but it looks so clean and pretty on that site. Really can’t wait to do this to all our pillar posts. 6. Definitely going to have to work on guest blogging, commenting, social bookmarking (Quora–as students this is a no-brainer place…we definitely need to add this to our web marketing strategy, so thanks! ), and more! Any idea why I keep getting errors-try-again for “request indexing” after picking I’m not a robot? I tried again for all 8 links, but none of them will work…yesterday, I did it wrong apparently they were redirects. Thanks! I am getting the redirects as well. 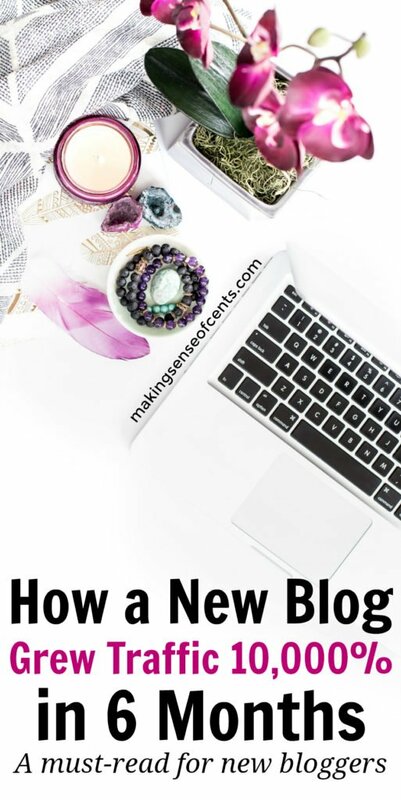 I’m glad you wrote this post about blogging and how it is a must read for new bloggers. Search engine optimization continues to be one of the hottest trending topics on the Internet today for new and experienced bloggers and Internet marketers. Reason being that search engine optimization is widely discussed is because everyone wants a deeper understanding how to get better search engine rankings in being, Google, and Yahoo. As you mentioned, SEO and web marketing can be challenging. I certainly agree with that Michelle. And I’m glad that you mentioned that your blog also came from humble beginnings and was once a virtual nobody. Your side hustle blogging struggle is ironclad proof that anyone can build a business from the bottom become an Internet millionaire doing what they love to do if they continue to stay on track with “doing the transformation business work at full strength.” And yes, there’s much anxiety in the beginning of anyone’s blogging career because not only do they not understand the full concept of full-time blogging and content marketing, but they’re unsure if their blogging career will ever truly take off to the point where they can quit their day job. So yes, I agree there’s much “blogging anxiety” in the beginning of anyone’s online side hustle career. 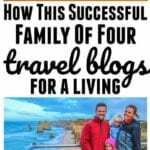 Truth is, if anyone wants to succeed in side hustle blogging starting from the ground floor up, they better be willing to get rid of some of their old habits such as partying, drinking like a fish, and get on the bandwagon with losing weight, taking their vitamins, leave the alcohol alone, and eat more healthy foods such as Salmon for increased heart healthiness. Congratulations to you Adam for completing your Masters degree in software development in 2017. You certainly did the transformation educational work and you ought to be proud of yourself for not only earning your MBA in something you love to do, but also getting a website organically off the ground in under a year. Content marketing alone is a lot of work and can help you achieve more than an MBA, so you don’t need a college degree to succeed in side hustle blogging or affiliate marketing. I understand the importance of having them as a cell certificate on a blog or website because as you mentioned, not only does it allow you to rank better in Google search engine results pages, but it shows people your online real estate is trustworthy and worthy of business 24 hours a day. That’s a pretty beautiful thing, isn’t it Adam? It’s a good thing also you decided to do your marketing research in regards to finding the proper keywords to add to your content and webpage-blog post titles not just to skyrocket your organic traffic, but also help search engine crawlers better understand what the content of your published posts are about. Google’s keyword planner is ideal because what a person can do is after performing necessary marketing research, they can use these highly searched keywords and relevant search term phrases to write sentences around, they can also use these phrases and keywords to write call to action content or advertisements with in the body of their blog post or webpage. Content marketing is a full-time job within itself but also a beautiful labor of love. I always tell people this has to be something you want to do what free will, even on days you don’t make money online. Reason being is because if you do something you love doing even though you’re not making money in the beginning, you will always continue to press on in the most challenging times and in the long run, you will fare out financially successful. Brilliant post! I learnt alot from this for sure and I will head off and starting indexing blog posts. I wanted to contribute to your section on Performance. The Google Pagespeed Insights tool bizarrely does not give you info about your actual page speed. An alternative site that does this is https://www.GTMetrix.com. Check it out and let me know what you think. Alot of people will find that image size is usually a big part of what slows down the load speed. Hello! Thank you very much for this helpful article. I am completely new to most of this, and I have two questions about Fetch as Google. After entering your link, do you hit “Fetch” or “Fetch and Render”? What does render mean? Amazing content! This opened up a whole new perspective on SEO and marketing for me as I’m just starting out. 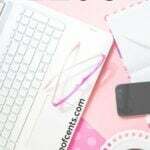 Will definitely implement your tips on my blog! I am a new blogger and this post is very helpful. I have a Quora account but I haven’t use it for anything, time to get busy haha! I came across the idea of using Medium to syndicate some of my posts and will see how much traction it gains in the next little while. First time I’m hearing about the Backlinks checker tool, I will give it a try. What a great post with all that juice ready to take action! I would only add Yandex to the 3 options of indexing the website and any blog posts. Sorry but 10 000% is not 10 times, it’s 100 times. May I too stupid or not ? Great article and lots of good information to put into practise! Specially the SSL certificate, already switched over to SSL and was great timing too. I’ve been operating a daily blog for about 45 days now that’s mostly focused on mindset and soft skills of eclectic entrepreneurs as well as (currently) documenting my leap from corporate employment to full time consulting. While these are some great pointers, I’d like to hear some more details about how Wallet Squirrel (or any sites, really) get to that 1000 visitors per month milestone. Sure, there are a million different tactics and I feel like I’ve read them all, but I they’re always so generic and like “you can find more info about this somewhere else or pay me for the details!”. Frustrating, to say the least. I don’t have a lot of extra time on my hands to go through and try all of the 724 different ways to initially drive traffic, so I’d love some very candid, very real-world-example insight into what I’d best be served to spend my time on. I’m new to blogging and in the process of setting up my website. This is very comprehensive information for someone who is not tech-savvy. Thanks for sharing. Really impressive and great work. It is always great to find that all your hard work are actually paying off. I have used some of the factors mentioned here such as Indexing, social media and I hope quality content. Have to do way more work on Keyword research and Backlinks. Also, a little more work needs to be done to increase my blog performance. Thanks for sharing your tips and wish you all the continuous success with your site. Wow, thank you so much for writing such an informative article, full of specific, actionable tips! I can’t wait to start implementing these strategies! In terms of ranking ‘hashtags’ or hashtag analytics, what tool(s) do you use? Are the free ones any good? I’ve been using the free version of hashtags.org but it’s very minimal. Thanks for sharing. Well I think especially doing infographics and overall really really good quality content is the key to success and increased traffic. Infographics are nice to look at and will probably generate social shares and backlinks, and so does good quality content. Your content is great and amazing. I’m a newbie blogger wanting to get real organic traffic to my blog. I’m completely enlightened with your post. I most say your writeup is amazing.